For your next posh party, stir together this refreshment, which is the best combination of fizzy and fruity. This very simple recipe is great for all ages but can be turned up a notch by adding a cup of your favorite vodka. 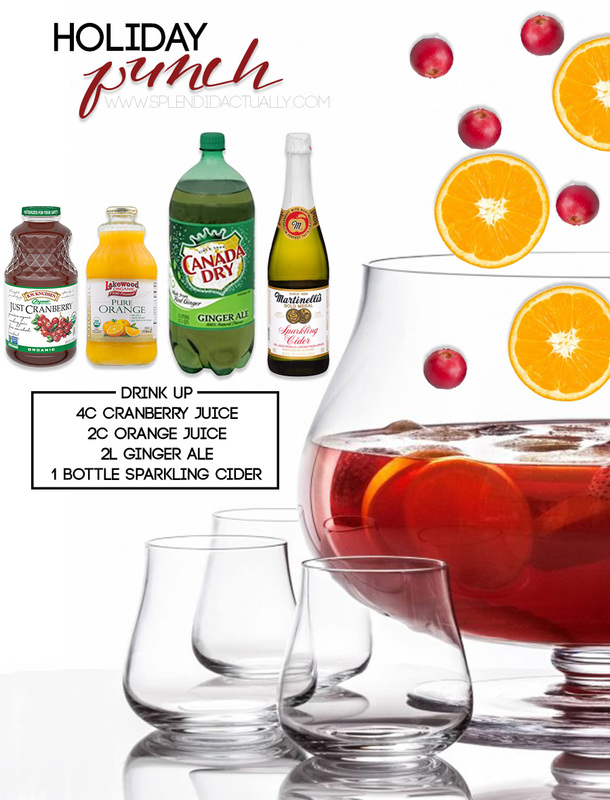 I love the idea of floating fresh cranberries and orange slices in the punch bowl or adding a few to each tumbler before serving. Cheers!